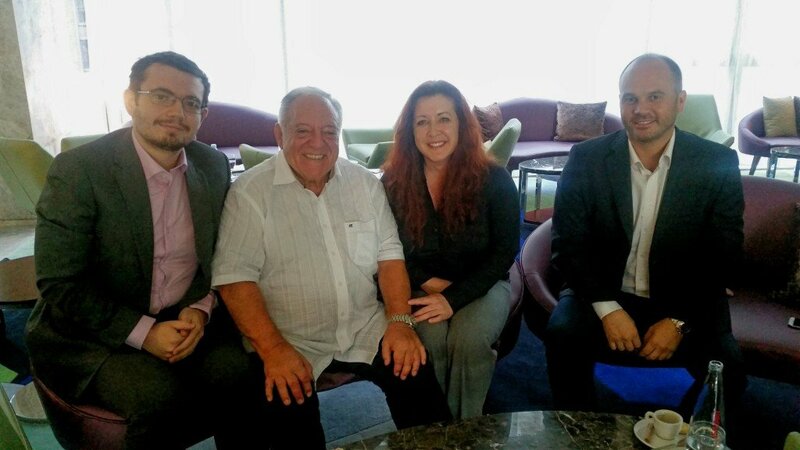 In meeting minutes released on October 14th of this year, USA Weightlifting (USAW) has confirmed they will support the endorsement of three candidates for leadership positions within the International Weightlifting Federation (IWF). The most noteworthy of these is Ursula Papandrea, current chairwoman of the USAW Board of Directors, for a seat on the IWF Executive Board of Directors. Papandrea has been in her current position as Chairwoman of USAW since February 13th of this year, when the USAW Board of Directors voted to remove CJ Stockel as chairman of the board (as noted in the minutes from that meeting, “without cause”) and elected her to fill the leadership position for the balance of the year. However, her career in the sport of weightlifting dates back almost 30 years. Throughout the 1990s, she twice won the USAW National Championships and is a five time USAW world team member. In 2003, she became the first woman (and one of the first people overall) to earn the title of Senior International Coach, the highest title that USAW distributes. In 2014, she became the first woman to coach a men’s team to a National Championship when the Texas Barbell Club was victorious in Salt Lake City. To date, Papandrea is technically the second woman to serve as the Chairwoman of the USAW Board of Directors; she is the first to be elected to fill the position as opposed to being appointed. Needless to say, she is used to being among the first women to do something in the world of weightlifting. If she is successful in the May 2017 IWF election, Papandrea would be the second woman elected for a four year term to the IWF’s Executive board in the 108 year history of the federation. Currently, Canadian Moira Lassen is the only woman sitting on the IWF Executive board. She was elected in the 2013 Electoral Congress and has served as the Chair of the Woman’s Committee, helping to drive needed changes towards the equality of men and women in the sport. Under Lassen’s watch — along with the whole Executive Board, the Coaching Committee, and the Technical Committee — in 2016 the IWF added an 8th woman’s weight category to equal the 8 weight classes for men. USAW CEO Phil Andrews wholeheartedly supports the nomination. In May of 2017, the IWF will host an electoral college, where every member country will send two delegates to cast a vote for the above positions. Each position is a separate ballot, so for example, if Dr. Ajan chooses to run for reelection to the Presidency, he only needs to win an election for the Presidency. He would not need to win a prior election. And vice versa: if elected as an Executive Board member, Papandrea would be a board member only for her term. 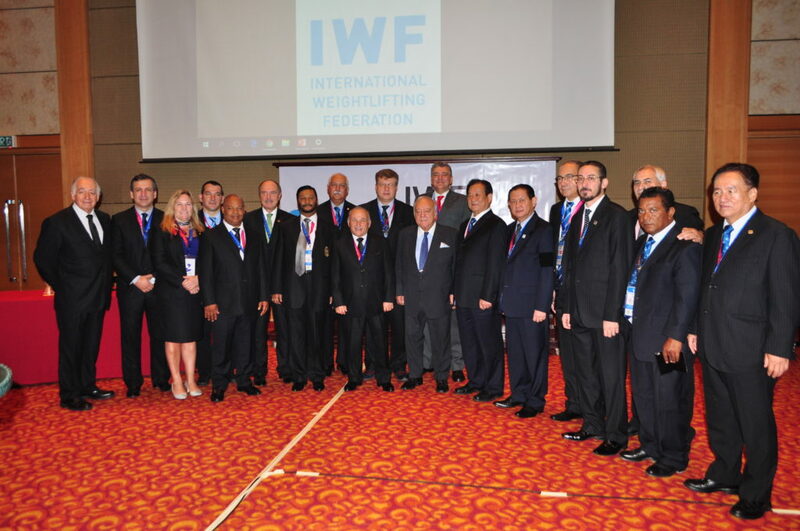 At the recently finished IWF Congress, held prior to the IWF Youth World Championships in October 2016, the IWF Constitution and By-Laws were amended and approved by both the Executive Board and Congress. The new Constitution will provide a minimum of two positions solely for Women in the leadership of the IWF, one being a Vice President and the other an Executive Board member position. Also publicly revealed by USAW were the candidacies of Dr. Mark Lavallee for the IWF Medical Committee and Mr. Joe Triolo for the IWF Technical Committee. “It’s possible many members are not aware of Dr. Lavallee, who has headed our Sports Medicine Committee for nearly 20 years. Dr. Lavallee is already an elected member of the Pan American Weightlifting Federation Medical Committee and will shortly be serving as the IWF Doctor on Duty in Mexico at the FISU World University Championships. Dr. Lavallee made a very large contribution to the 2015 IWF World Championships in the medical field, and will be again as we host the 2017 IWF World Championships in Anaheim next November. At this point in the process, there is no word on which other candidates for the IWF Executive board have been nominated by any other countries. As the election draws closer, the IWF is expected to make that information publicly known. This should include candidate bios and goals. Stay tuned to BarBend.com for your 2017 IWF election news as it breaks. Editor’s note: USA Weightlifting CEO Phil Andrews provided quotes and assistance fact checking for this article.